I always tell my clients, if you can make it through the November/December Holiday season and maintain your weight, you’re a rock star. Temptation is everywhere to derail even the strongest of nutrition plans, and with the amount of relatives and friends coming and going, it’s often difficult to maintain your regular Heart Smart Minute fitness plan. Focus as much as you can on maintaining a normal diet for the holiday season, don’t make Thanksgiving last weeks and Christmas/Chanukah, is not the entire month of December. Enjoy the day as it is meant to be, focusing on friends and loved ones, not binge eating. Some holiday foods are better than others, while some should just be avoided at all costs. 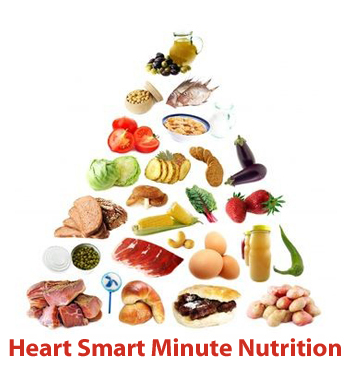 The following are the Top 5 Heart Smart Minute foods to avoid this holiday season. These made the list because they lack nutrition and pile on the calories. CREAMED SPINACH: When you think spinach, you think healthy right? Not so, when it comes to saturating it with heavy cream, butter, and cheese. Creamed spinach has 75% of a woman’s daily saturaed fat allowance, and that’s just for a single serving! If you love the taste, opt to make a lighter version by using skim milk, low fat cream cheese, and make sure you’re sticking to a single serving. FRUIT CAKE: Don’t let the name fool you, there’s absolutely nothing nutritious about this fruit. A single slice averages 400 calories and 10g of fat! So much for the fruit, this cake is loaded with tons of sugar, butter, and corn starch. Save the calories, you may as well eat chocolate cake! CHEESECAKE: Everyone enjoys a great treat once in a while, but did you know a slice of Cheesecake Factory’s Original Cheesecake is more that half the days worth of fat grams for a female! It has 710 calories per slice and 29g of fat, plus that’s before you add the sugar fruit toppings! Avoid this dessert at all costs, you are better off eating pretty much anything else. PRIME RIB: Craving meat is fine, in fact, research has shown that red meat once or twice a month has great health benefits, but make sure you’re picking the right kind of red meat. Prime Rib is a holiday favorite, but it comes from the fattest part of the cow and a single piece as a much as 750 calories and 45g of fat. Pick a leaner option of red meat and enjoy. PEANUT BRITTLE: This little dessert packs a big punch. A single piece of Peanut Brittle can have 150 calories and 5g of fat, and you know you’re not having just one little piece. It’s loaded with corn syrup, sugar, and butter. Stick with a dessert that you can control the serving size. This entry was posted in Nutrition and tagged calories, health, Heart Smart Minute, Heart Smart Minute fitness, Heart Smart Minute Nutrition. Bookmark the permalink.